BOGOR (19 April 2018) – Exploring the biomass potential of bamboo, the Center for International Forestry Research (CIFOR) will sign a memorandum of understanding today with Clean Power Indonesia (CPI), originators of “Listrik Gotong Royong,” bamboo-based biomass power generation projects for and by community users. “We are happy to sign such an MoU with the private sector, the role of which in growing bioenergy in Indonesia is very large. Bamboo is fast-growing biomass and very suitable for many situations in Indonesia,” said CIFOR Team Leader Christopher Martius. CPI is focused on expanding biomass energy development and usage in Indonesia and bringing renewable energies to the most remote places in Indonesia. 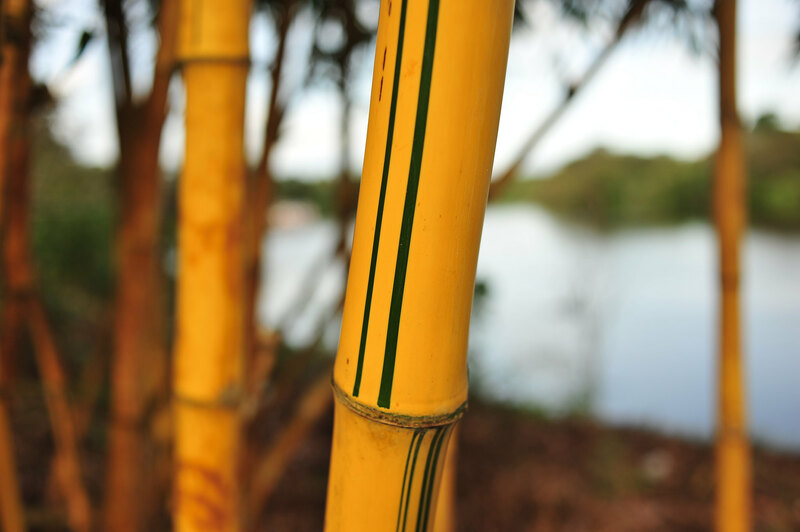 Using bamboo is a sustainable option due to its high carbon sequestration potential and is a promising resource which enables isolated rural communities to mitigate and adapt to the adverse effects of climate change. One of the first activities CPI would like to explore with CIFOR is “restoration through rejuvenation.” The restoration of degraded land by planting bamboo, a strategic resource native to Indonesia, also help with soil conservation and other environmental services. Another MOU aim is for the organizations to collaborate on is the expansion of areas using bamboo biomass for energy. CPI has brought electricity to the remote villages of Siberut, but look to expand with CIFOR. “If we are able to tap into CIFOR’s expertise, we would like to expand in Bali for watershed restoration surrounding Lake Batur area and bring 100 percent electrification to the people of Nias Island in North Sumatra Province,” Wahono said. In addition to building biomass potential, the MOU will allow CIFOR to help CPI to monitor livelihood improvements on economic, social and political levels in areas after receiving bamboo biomass power. “CIFOR has a long-term experience monitoring and evaluating the livelihood improvement of development projects and we are happy to apply this in this project,” Martius added. CIFOR’s bioenergy research is currently funded by the National Institute of Forest Sciences (NIFOS), Republic of Korea. For more information on this topic, please contact Himlal Baral at h.baral@cgiar.org.